My Peeps! I met Sarah and Mike at a dive bar around the corner from their apt. in Williamsburg, Brooklyn. I’m a huge fan of Sarah’s work for SNL as co-head writer and Mike and I immediately hit it off as mutual admirers of Joseph Koudelka’s epic panoramic landscapes (I might know *one* other person who even knows of that work!?). 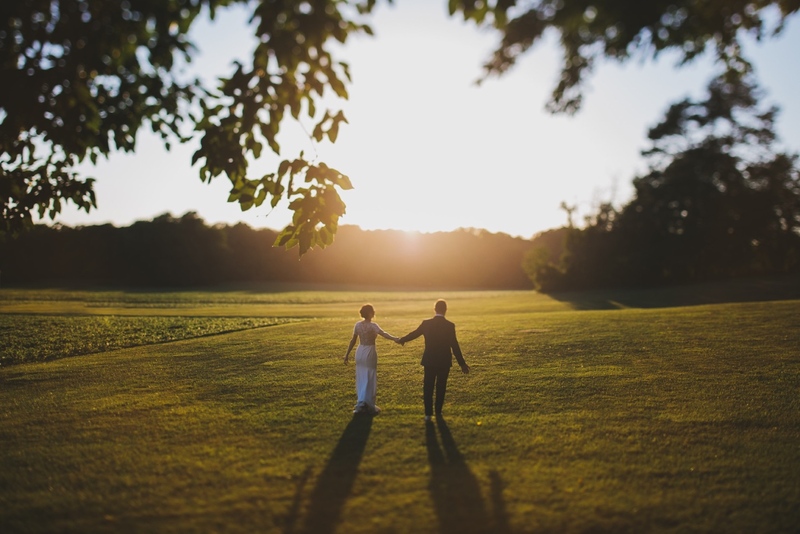 We chatted about photography and their upcoming wedding at Brittland Manor. The plan was to bring family and friends together at Sarah’s family home in St. Michael’s for a good ole’ fashioned MD crab feast on Friday evening, followed by their nuptials and epic celebration the very next day at Brittland Manor. It was a joy to document Sarah, Mike, and their closest friends and family coming together for this heartening & hilarious celebration. Honestly, I don’t think I was quite expecting the whole friggin’ SNL cast to be there!? I just loved seeing Seth Meyers and Kate McKinnon rock the dance floor alongside Aunt Edna and Uncle Bruce! Gahhhh. So Great! And the photos created in our Pop-UP Portrait Salon are off the charts. Check those out at the bottom of the post and also here.